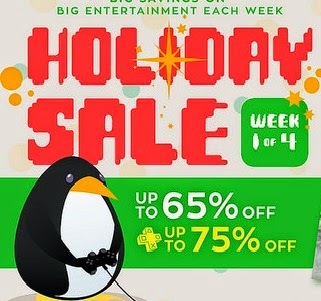 First Week of PSN Holiday Sales! The PlayStation Store will be having new deals on games, movies and TV shows every week for four weeks. The first week of sales have been announced! For the PS Vita there are some great deals on flOw, The Lego Movie Video Game, Dustforce, CastleStorm, Starlight Inception, BIT.TRIP, Sword Art Online, Table Top Racing and Age of Zombies! If you are a PS Plus member you can also enjoy some extra savings. The complete list of games, movies and TV shows available in the sale are available below! These sales will be replaced by new sales on December 8th, so be sure to pick up any games you want before they are gone! What are you going to pick up from this sale? Let us know below!